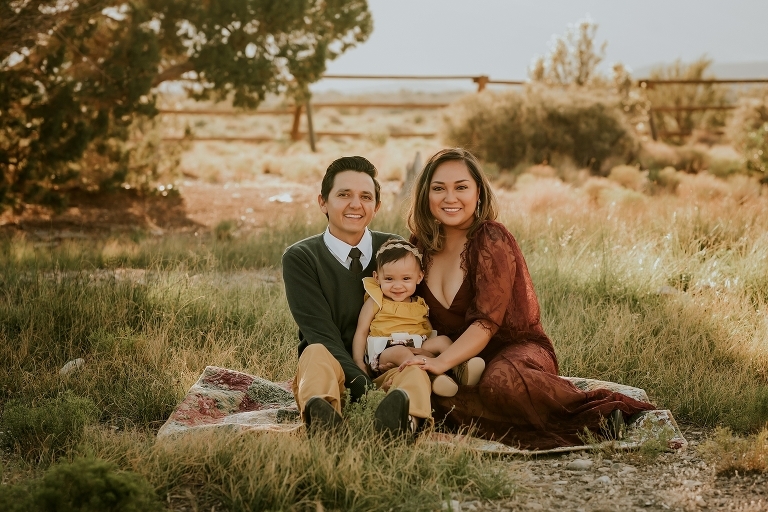 As a Las Vegas Family Portrait Photographer, it can be a little challenging taking on location sessions during the summer considering the Valley is so hot! However, I have managed to find some beautiful spots to get out of the heat that includes amazing Views! I have also had some pretty adorable families willing to make the drive with me. While its about an hour outside of Las Vegas, the drive to this spot is well worth the final results. The Vest Family is an adorable new family of three! We worked on styling the colors of their session to compliment this location and they arrived in style. They were such a breeze to photograph and their little one gave me tons of great smiles and a few frowns. This is such a fun stage to photograph because there are so many emotions that can occur. They are inquisitive, yet cautious, happy yet can easily be frightened. Plus I just adored her little outfit! Mom looked absolutely stunning in this burgundy lace gown. 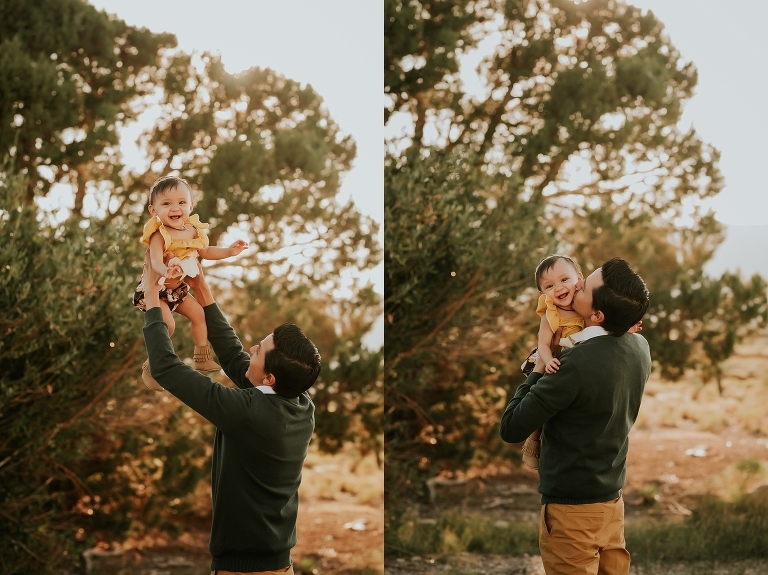 We had so much fun throughout their session. We even ended it on a super silly note. 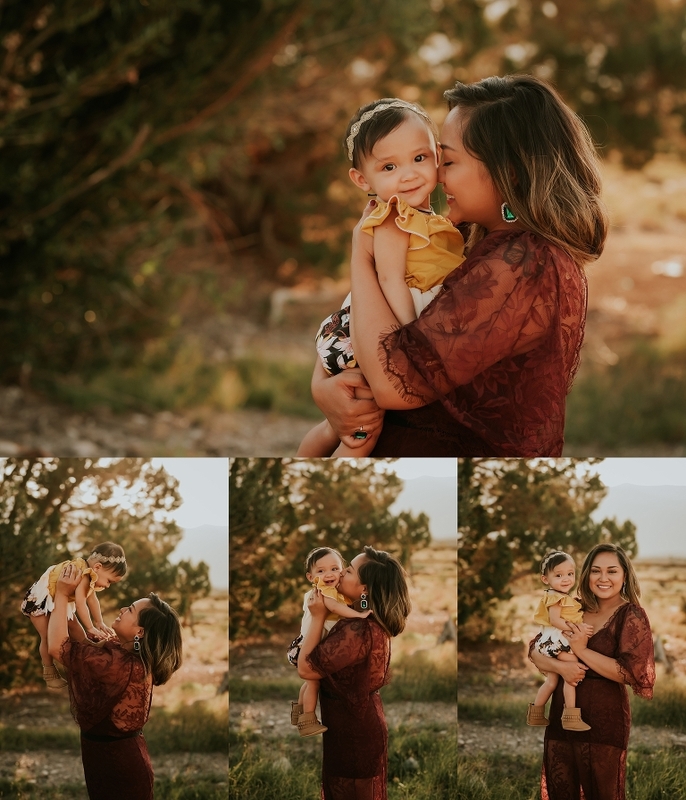 Check out a few of my favorites from their session. I hope you enjoy! © 2016 Jamie Rubeis Photography|ProPhoto Photography Theme|Design by Northfolk & Co.